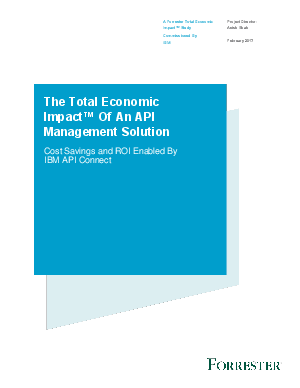 • What are the costs associated with IBM API Connect, and what returns can I expect for my business? • What are the benefits, both financial and business, that I can expect from API Connect? • What's the financial impact of API Connect on developing new opportunities for businesses, developers, and customers? Read on to learn about the financial benefits of choosing API Connect as your API management solution.